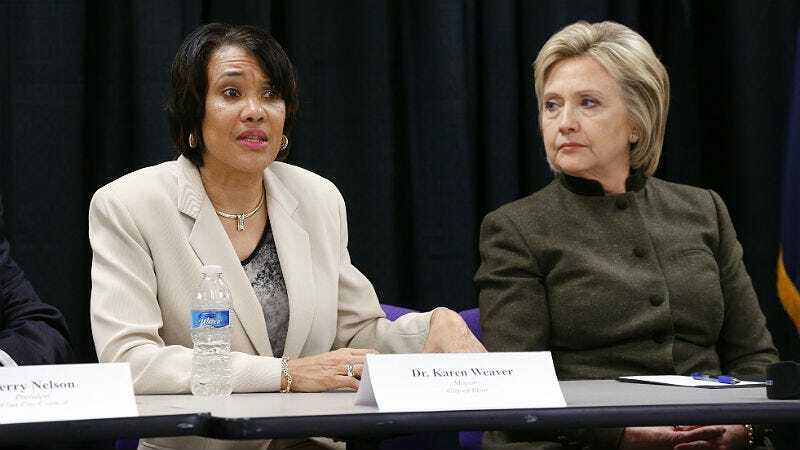 During a press conference on Tuesday, Karen Weaver, the mayor of Flint, announced that a $55 million pipe replacement program is scheduled to begin this month. Homes with pregnant women and children will get higher priority. In 2014, before Weaver took office, Flint officials changed the city’s water supply from Lake Huron to the Flint River, which led to lead poisoning, rashes, possibly legionnaire’s disease and innumerable future lawsuits from residents against the city and state. Weaver, according to the Detroit Free Press, is trying to stay focused on making the city’s water supply safe again. The first phase of Fast Start will focus on replacing pipes for homes with “children under the age of 6, children with elevated blood-lead levels, pregnant women, senior citizens, residential day care facilities, people with compromised immune systems.” Schools and other places around Flint where people can rely on bottled water will be tackled during the second phase. The lead pipe replacement is intended to come at no cost to Flint homeowners, though they will have to sign an agreement giving the city access to their property’s water system and open their home to a meter.